Dr. Brendan Gouin graduated with a degree in Biological Sciences from the University of Rhode Island in 2005. Dr. Brendan then received his D.M.D. from Tufts University School of Dental Medicine in 2009. While at Tufts, Dr. Brendan was a teaching assistant in Oral Maxillofacial Radiology. He participated in dental internships at the Rhode Island Department of Corrections and the Norwood Dental Clinic for Special Needs. Dr. Brendan has been teaching as an Associate Professor of Oral and Maxilliofacial Radiology at Tufts University since the Spring of 2010. 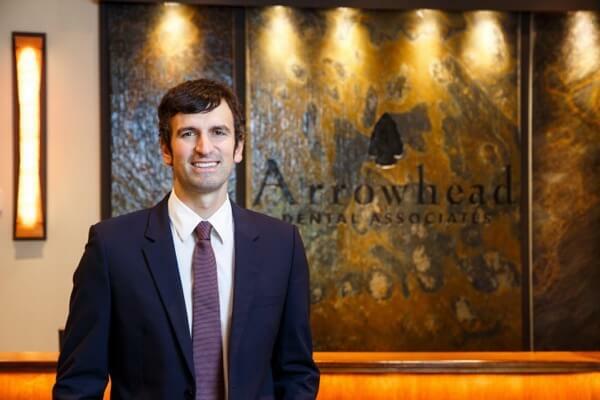 Dr. Brendan is a member of the American Dental Association, the Rhode Island Dental Association, and the South County Dental Society. Dr. Brendan has been recognized as “Top Doctor” by Rhode Island Magazine, Awarded the “Edge” Award by Incisal Edge Magazine and honored by The United Chambers of Southern Rhode Island as a young professional who is shaping the region and making a difference in the community. In his free time Dr. Brendan enjoys being outdoors and is passionate about snowboarding and surfing. He also enjoys free diving, art, playing tennis, trampoline gymnastics, and bicycling.